Sponsored search auction has been recently studied and auctioneer’s revenue is an important consideration in probabilistic single-item second-price auctions. Some papers have analyzed the revenue maximization problem on different methods to bundle contexts. In this paper, we propose a more flexible and natural method which is called the bracketing method.We prove that finding a bracketing scheme that maximizes the auctioneer’s revenue is strongly NP-hard. Then, a heuristic algorithm is given. Experiments on three test cases show that the revenue of the optimal bracketing scheme is very close to the optimal revenue without any bundling constraint, and the heuristic algorithm performs very well. Finally, we consider a simpler model that for each row in the valuation matrix, the non-zero cells have the same value. We prove that the revenue maximization problem with K-anonymous signaling scheme and cardinality constrained signaling scheme in this simpler model are both NP-hard. Zheng-Dong Xia received the Bachelor’s and Master’s degrees in software engineering from East China Normal University, China in 2013 and 2016, respectively. His research interests include algorithm and auction theory. Now he is a developer in Tencent. Tian-Ming Bu received the PhD degree from Fudan University, China in 1996. He is an associate professor of East China Normal University, China. His research interests include combinatorial algorithm design and algorithmic game theory. 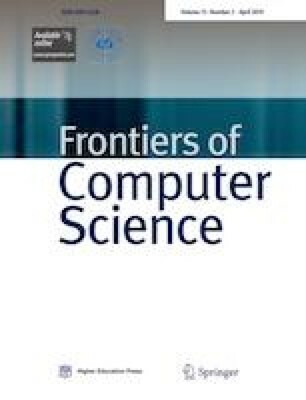 Supplementary material is available for this article at https://doi.org/10.1007/s11704-017-6102-0 and is accessible for authorized users. We would like to thank the anonymous reviewers for their many insightful comments and suggestions. This work was supported by the National Natural Science Foundation of China (Grant No. 61672012). Supplementary material, approximately 112 KB.